Coconut oil has been known for centuries to have remarkable effects on the skin. Ever since ancient history medics have recognized the beneficial properties of this oil and it has been widely used ever since. It will give your skin a natural and shiny look. Furthermore, you can use Coconut Oil for acne scars and acne related problems. A true miracle one might say but, people that have sensitive skin that is prone to acne breakouts, however, will surely disagree. You see, Coconut Oil is one of the most highly rated comedogenic oils. It will clog your pores which in turn causes even more acne. Ironic eh? The very same oil that can treat acne scars most effectively will also cause more acne. Experts usually advise the use of non comedogenic oils for regular facial treatments when it comes to sensitive skin. For dry acne prone skin, non comedogenic moisturizers will also come in handy. But why should anybody miss out on the simply amazing benefits of Coconut Oil? In short, this article will first explore the benefits of using Coconut Oil for Acne scars when applied topically (directly on the skin) and the most effective ways of application. In the second half of the article we will discuss the benefits of coconut oil when taken orally and the preferred methods and dosages. Now there are two ways of unleashing the benefits of Coconut Oil. One is to apply it directly on the skin either pure or in a mixture (more on that later). The other one is to consume it. These two distinct ways of using it have separate effects on the skin. We will first go through how coconut oil affects acne scars when applied directly. When applied topically, Coconut Oil can act as an excellent skin moisturizer. It will refresh your facial skin. When you apply it directly, it will create a thin but very functional protective layer just above the surface of your skin. This layer will prevent any further dehydration and loss of the much needed water to keep your skin tissue youthful and scar-free. When it comes to moisturizing, Coconut Oil is unmatched. But how does this help us with our Acne Scars? Well research has found that proper hydration of the cell leads to much faster connective and scar tissue healing. This means that it will not only make your skin appear more youthful, but it will help you get rid of any (and I mean any) scars in the process. Most people that suffer from acne already have sensitive skin to begin with. This is why Coconut Oil causes acne for them in the first place. But when used correctly, Coconut Oil can help them a great deal. Whether intentionally or unintentionally, our facial skin is exposed to chemicals on day to day basis. When it comes to cleansing, the deeper the cleanser can reach, the better the results. The high content of Lauric Acid found in Coconut Oil does exactly this. It reaches the deepest parts of your skin that need the most attention. Lauric acid is also very useful when your body is fighting an inflammation, according to a new research. In the case of the skin, this means no more redness and spotting near acne or acne scars. It is a win-win scenario. Acne have been known to be caused by anaerobic bacterial infections. While most of this bacteria is resistant to everyday antibiotics and medicine, Coconut Oil can effectively help you get rid of them. Researches since the 1960’s have been familiar with the fact that Coconut Oil has a strong potency to battle microbes, yeast, bacterial and even viral infections. This means that it can help us by preventing future outbreaks and acne breakouts. But this is not the only benefit of it. When bacteria and bacterial infections are active, they use up a lot of nutrients. They pull these nutrients directly from the nearby tissue. This, in turn, deprives any scar tissue in their nearby vicinity of the very basic things it needs to repair and rebuild. Scientific research on skin barriers has backed up what Far Eastern Medicine has known for millennia. Coconut Oil helps repair and keep up the natural defensive layer that your skin puts up. The main role of this layer is to keep potential threats to your skin health away from your skin. But does this mean that you can use Coconut Oil for Acne Scars? Most definitely. When the skin barrier is weak or non-existent, your body has to work twice as hard to defend itself. This means less attention to scar tissue, since scar tissue not the priority. It also mean that the very vulnerable scar tissue is now exposed to a number of outside threats. When you use Coconut Oil, you renew the natural defenses. Thus scar tissue can remain secluded and influence free, left to repair beneath the safety of the barrier. We have left the high linoleic content as a last benefit of Coconut Oil for Acne Scars out of one simple reason. It helps the skin and scar tissue in a different way. While most of the things we mentioned before speed up the process of scar tissue healing Linoleic acid has a way more immediate effect. Research has shown that Linoleic acid mostly affects the outermost layer of the scar tissue. This is due to the high content of Essential Fatty Acids that your body so desperately needs to repair damaged skin. Now while every other compound of Coconut Oil will help with scar tissue healing, Linoleic acid will gently start deconstructing the top layer. This means the acne will start to fade away and be less and less visible over time. A secondary benefit that researches have found is that the essential fatty acids will help with inflammations. When applied to the acne scar tissue and the skin surrounding it, this translates to the reduction of skin redness and spotting. There are the three recommended ways of using Coconut Oil for Acne Scars. All of them have their own benefits and will differently affect acne scars and their healing. I would recommend rotating between the methods weekly. This way you can see what best works for you. A word of warning: Before we go deeper about the methods we would like to warn you about the side effects of Coconut Oil if left overnight. Being a highly comedogenic oil, Coconut oil can cause acne breakouts if you leave it on sensitive skin for too long. Ironically enough, the very people that want to treat acne scars are the ones that have the most gentle skin to begin with. Bearing this in mind, we would advise you that, no matter how much it helps you, you must always thoroughly wash off any leftover Coconut oil after 15-20 minutes. A pretty straightforward method. The only thing that you must pay attention to is the kind of coconut oil you are using. Processed or otherwise altered coconut oil might have adverse effect. This is why we recommend using organic, virgin Coconut Oil. A good option here is the Spectrum Organic Virgin Coconut Oil . When it comes to skin health and scarred tissue repairing, it is best to choose a quality product over a cheap one. You can apply this up to three times a week or you can alter it with other methods mentioned here. Put some Coconut Oil on your hands and rub them together. At room temperature, Coconut Oil is more buttery but once you start rubbing it will melt. Apply the Coconut Oil on the affected areas massaging 8-10 minutes. Be careful about getting it in your eyes if you are applying it to the face. Rinse a towel with warm water and let it rest on your face. After 30 seconds use the towel to remove the rest of the Coconut Oil. If there is still some left repeat the process and make sure that no Coconut Oil remains on your face. Adding banana to Coconut Oil will only increase the potency of the Coconut Oil. The banana will help with the removal of any blemishes that you have. This means that when the blemishes and otherwise clogged pores are open and breathing, the scars are exposed and the Coconut Oil will be able to penetrate deeper. This will allow a more thorough skin cleansing and of course better scar healing. You can use this treatment up to 3 times weekly or you can alternate between methods. Mash half a peeled banana and make it into a smooth, uniform mass. A paste if you will. Make sure it’s evenly distributed and all the granules broken down. The process of breaking down will release the enzymes and bring them in a more direct contact with the skin. Wash your face with warm water only. After drying it off with a dry towel, apply the mixture on the affected area. After 20 minutes remove the mixture and thoroughly wash your face with warm water. When you have finished, rinse your face with cold water and dry it off with a towel. You can repeat this treatment up to three times a week. Note: The use of turmeric is optional. This treatment is very effective in removing blemishes that actually cause slower healing of acne scars. Put 4 tablespoons of Coconut Oil in a bowl. If you live in colder climates, the Coconut oil will already be hard. If you live in warmer areas, don’t worry. Just leave it in the fridge for a couple of minutes and it will harden. Whisk the Coconut Oil Butter until you get an evenly spread mass. Rinse your face with warm water and use a dry towel to dry it off. Apply the mixture on your face and leave it for 20 minutes. Wash it thoroughly and make sure there is no leftover Coconut Oil on your face. If there is, soak a dry towel and place it on your face for 30 seconds. Use the towel to wife off any leftover oil you might have. As we said previously, Coconut Oil is rich in ingredients that help the body in many different ways. We have already went through how it helps when you apply it directly to the skin, but what about when it is ingested? When taken orally, coconut oil still helps the rejuvenation of acne scars but in a more subtle, passive way. These are the key components that help with the repair process. Bear in mind that we are talking exclusively about Virgin Coconut Oil. It might sound like a buzzword to you, but it’s a word that has earned it’s reputation. During the normal function of our body, cells produce a lot of waste. This waste usually circulates the bloodstream until it is removed. This is where the antioxidants come in. Antioxidants circulate our bodies getting us rid of that cellular waste, the free radicals. The free radicals not only are an excess in our bloodstream, but they can easily damage our cells as well. To make things worse, free radicals are attracted to scar tissue the most, since it is highly polarized. Research has shown that in the case of acne scars, the antioxidants contained in Coconut oil will help by creating a protective barrier from the inside of the scar, helping it heal properly. Recent research has put Coconut Oil at the top of natural cures for skin inflammation. This again is due to Lauric acid that we mentioned before. However, when you apply it to the skin directly, you will only partially experience the benefits of it. When applied topically, Coconut Oil will help that patch of skin and that patch of skin only. When taken orally, on the other hand, it will not only help with skin inflammations in general, but also help prevent any new inflammations from showing. Inflammations usually start from deep within the skin and are not visible until the second or third day of activity. This is why it’s more beneficial to orally take Coconut Oil for acne scars and skin redness. It will cut them in the root and you will actually start treatment even before you see any symptoms. Virgin Coconut Oil greatly reduces blood pressure. In the most recent data publications by the FDA there was a rather alarming set statistical findings. More than 30% of people that suffered from acne also suffered from blood pressure. If you go in the 40-50 age bracket, this increases to 40% and in the 50+ bracket it reaches staggering 51%. These numbers are too high to be a coincidence. While high blood pressure has a huge impact on many other bodily systems, when it comes to acne scar tissue it is pretty straightforward. High blood pressure causes plaques to build on the inner part of the scar. This, in turn, suffocates the scar from the inside, practically cutting it of from the nutrients it needs to repair. It is not a secret that stress worsens acne breakouts. The exact process of how this happens to this day baffles scientists. The only thing we know right now is that it does. The best explanation offered at the moment is that cells that produce sebum (the thing that makes your skin oily) are affected by stress, creating bacteria in the process. So stress is responsible for the creation of acne. But what about acne scars you might ask? Stress has an even greater negative impact on acne scars. It not only slows the healing process down, but the scar tissue appears to grow as well. So while we cannot affect this process directly, we can address it indirectly. Out of all the essential and natural oil, it was found that Virgin Coconut Oil has the strongest anti-stress properties. When ingested orally it will reduce overall stress levels thus preventing both acne outbreaks and impaired acne scar healing. In this way, you can indirectly use Coconut Oil for Acne Scars. Now to some people it seems obvious on how to ingest Coconut oil. You just take a teaspoon, fill it with Coconut Oil or Coconut butter and drink it or eat it. The thing is, moderation is key here. This oil is rich in a lot of nutrients but it still is oil. It still takes some time for the body to get used to it. The effective dose of coconut oil is 2 tablespoons. Everything above this amount doesn’t get processed by the body and is wasted. But don’t be fooled by the small amount. If you are just starting the Coconut Oil treatment it might seem a lot to you. To best absorb and benefit from coconut oil, it is best to consume it twice daily. Once in the morning and once in the evening. The beautiful thing about this is that you can use it as a part of everything. Imagine eating your favorite meals all the while taking your dose of Coconut Oil for Acne scars. We have put together a list of how you can incorporate it in your daily routine. You can really get creative with your methods, so don’t be afraid to experiment.  If you have an idea, please let us know, we would be more than happy to add it to our list. 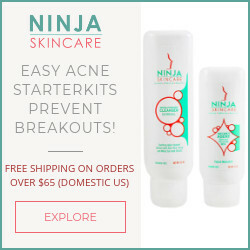 Ninha Skincare’s easy Acne Starter Kits prevent breakouts!